I’d be lying if I said we lived in a non-judgemental world. That couldn’t be further from the truth. We go through life perhaps sometimes unaware that we are judging people on a daily basis. Judging them based on what they choose to wear, who they choose to date, what career path they took, which education choices they made, you name it, we’ve judged it. And I’m not saying we shouldn’t judge people, because sometimes judgement leads to the greater good. But what I’ve noticed, since having what you would call (even though I do not agree with the term) a “disability” is that people are judging me less. Isn’t that a positive thing? You may think to yourself as you read this. Not to me it’s not. If anything I find it a little insulting. Let me just explain a recent situation to give you a little more information on why I feel this way. I was out a few weeks ago with a friend, and we bumped into a few of his friends in a pub. I’d never met these people before, and they certainly didn’t seem like they wanted to get to know me, either. I tried to join in with their conversation as the night went on but they simply weren’t interested. They disregarded my attempts to create a new discussion and avoided as much eye contact as possible. Sneering at each other each time I opened my mouth. At first I wondered whether they just didn’t like me, or whether it was something else. Perhaps they didn’t like the way I was dressed. The initial plan was to go to a bar and so I’d dressed up a little, whereas they were a little more casual. The more I think about it, they most certainly were looking me up and down as we made our entrance. I slowly gave up trying to have any input and sipped on my drink, wishing I were as far away from the situation as possible. But then something funny happened. Whilst in a world of my own I felt a nudge on my arm. My friend had been pushing me into a conversation I didn’t even know had begun. “Tell them about your surgery” he said. I looked at him confused, as I started to catch on to that they were currently discussing. They were talking about disability. 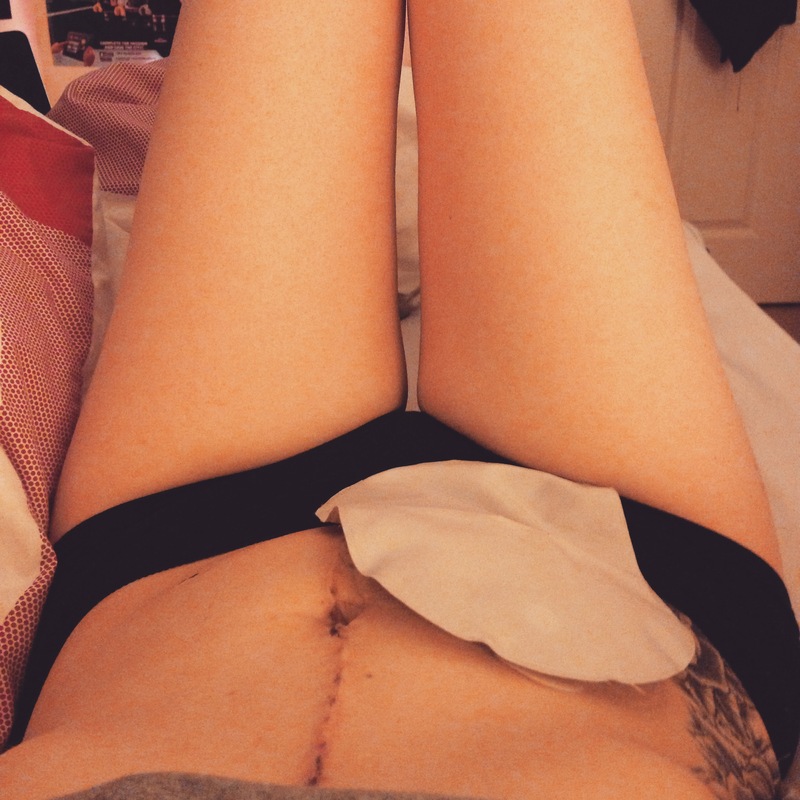 Whilst I was a little annoyed that he had associated my surgery with having a disability – for I had undergone emergency ileostomy surgery earlier this year – I took the opportunity to have some involvement in a discussion. It’s not that I would be ashamed to have a disability and by no means am I embarrassed of my ileostomy, I just do not feel disabled. I do not see it as a disability. If anything it enabled me to live. My body is just as able as the next healthy human beings. I watched these people with wide eyes and dropped jaws as I finished my story. All of a sudden, they were interested in me. They complimented me and told me what a brave and inspiring woman I was. They began asking me questions about my home life and career and seemed intrigued by my potential answers. It was as if I was talking to completely different people. Were these the same people that had ignored me for the past hour? Which leads me to my point. I found it incredibly saddening how quickly these people were to change their manor. They found respect through what seemed to be pity for me. After finding out something personal about me, they became more and more interested. Would they have been interested should it have been a different story? I’ll never know. But why not take the time to get to know me? Why had my story stopped you blatantly ignoring me for the remainder of the night? I feel we as a society should take more time to get to know someone, and less judging, regardless of his or her cover. Regardless of what we imagine them to be like. Because you never know what someone’s been through to be here, sitting with you today. And you never know, you just might regret not listening to their story. A story which shouldn’t have to be the making or breaking of a friendship. Respect the person, not the disability. Why Is It Okay To Be Overweight But Wrong To Be Under? In a world where the majority cannot see past the surface the behaviour you experienced sadly doesn’t surprise me. Having crossed virtual paths with you thanks to the awful CDC campaign and having read each and every post I do have a tremendous amount of respect for you. This may sound a little weird, but when you post the kind of day you can have, the pain you often go through, I can’t help but feel a great sense of admiration even though I don’t truly understand everything you go through. The things you do, the awareness you have raised in other people is inspiring and encouraging to all. Interesting read Hattie. I was 21 when I had my ileostomy surgery (now 57) and I remember similar concerns and issue-though of course 2 people experiences are never the same. I have never thought (well I can’t remember ever thinking) as having a disability more a case of a gift of life which has allowed me to reach an age where I can enjoy my life with a daughter (and step children) grandchildren a reasonable job that pays the bills etc. None of it would have happened without the skill of a dedicated team of health professionals, I’d not have survived. Has it been easy? No of course not but life isn’t anyway is it, so it is just a case of getting on with it and being happy to be alive.